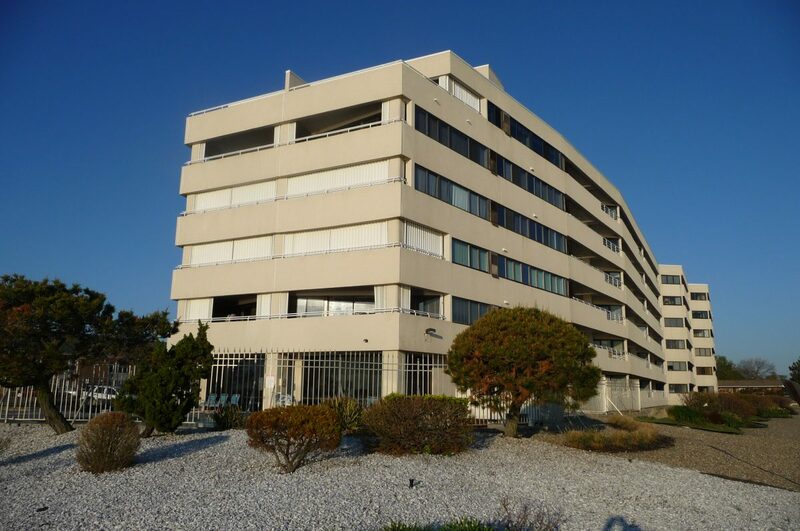 Ocean Plaza is a pet restricted (no dogs), mid-rise condominium community located on at 525 Ocean Boulevard in the West End section of Long Branch. Situated right on the boardwalk and just short walk to West End stores, Ocean Plaza is ideal for beach lovers and those who enjoy the convenience of in town living. Built in the early 1990's, there are 62 apartment style condominiums, most of which offer two bedrooms with some one bedroom and a few three bedroom apartments as well. Almost all apartments have ocean views. Community amenities include a heated pool, fitness room, social room, sauna, two spaces for each apartment in the underground garage, restricted building access, additional storage for each apartment and onsite maintenance. 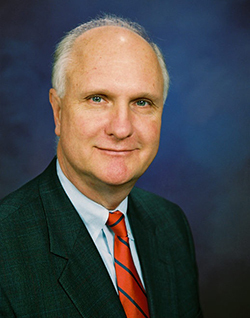 As an added bonus, residents are granted beach passes as part of their monthly association fees. 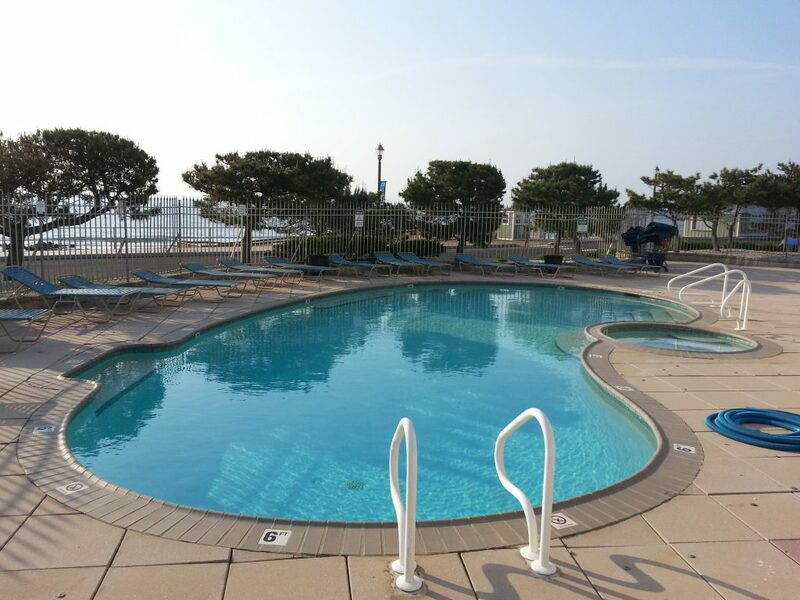 At the east end of the building overlooking the ocean, Ocean Plaza has a beautiful heated pool. 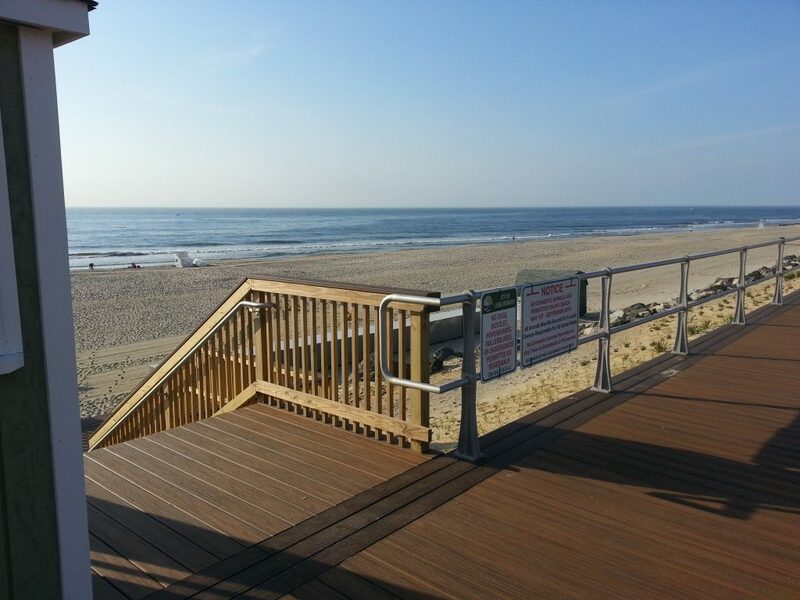 At the southeast corner of the property is this access to the Long Branch beach.